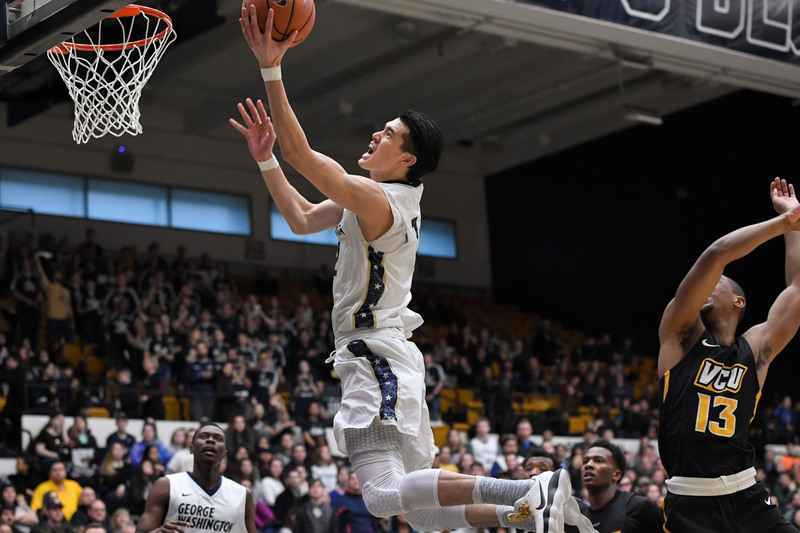 The 2018 NBA Draft is less than a week away, and Yuta Watanabe remains focused on pursuing his dream. The Kagawa Prefecture native worked out for the Indiana Pacers on Wednesday. He did the same thing for the Washington Wizards in late May. According to published reports, he’s also worked out for the two-time defending NBA champion Golden State Warriors, Atlanta Hawks, Oklahoma City Thunder, Philadelphia 76ers and Phoenix Suns over the past few weeks. Humble but with a fierce desire to succeed, Watanabe knows he carries the aspirations of an entire nation’s hoop fans. The draft will be held next Thursday in New York City. 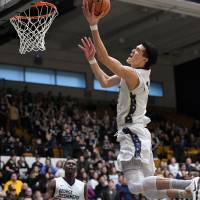 Watanabe elevated his game as a college senior, entering the conversation about potential future NBA prospects. He earned the Atlantic 10 Conference Defensive Player of the Year award. He was the Colonials’ leading scorer (16.3 points per game) and averaged 6.1 rebounds and 1.6 blocks (a team-best 54 total) with 1.6 assists, too. “It looks like Yuta put up good numbers on a competitive team,” one NBA assistant coach who asked to be unnamed said of Watanabe’s senior season. The 206-cm guard attended the NBA Global Camp from June 2-5 in Treviso, Italy. Of the nearly 40 participants, he was one of only three players who competed for NCAA teams this past season. The event is a showcase for international players. Watanabe made a positive impression at the camp, according to observers on the scene in Italy. American basketball reporter Austin Green, who specializes in coverage of international basketball and also scouts top prospects, watched the ambitious Watanabe run through various drills, showcasing his skills before talent evaluators of all 30 NBA teams. Green, who writes for CBS Sports, kept a close eye on Watanabe’s impact during a pair of games in Treviso, too. Watanabe played 14 minutes in his team’s first game on June 2. He had one point, a turnover, an assist and a rebound. A day later, he played 30 minutes and scored 12 points. He made 4 of 4 shots from the field, including 2 of 2 on 3-pointers, with four rebounds and a pair of turnovers at La Ghirada Sports Center. “He made a 3-pointer (actually two), he stole the ball, for a fast break dunk, and he drove into the paint and made a fadeaway (jumper) over good defense,” Green recalled. What else did Green see while watching the workouts in Italy? The NBA Summer League, featuring all 30 teams, is scheduled for July 6-17 in Las Vegas. Ryan Blake, the NBA’s scouting director, said this week that he doesn’t expect the 24-year-old Watanabe to be drafted. “It’s a deep draft, but he will be called as soon as the draft is over to get on a Summer League team,” Blake told this newspaper. Former University of Michigan player and Toyama Grouses standout Jerod Ward, now an ESPN college basketball analyst, admitted that Watanabe made a positive impression on him in the 2017-18 campaign. “From all of the information I have gathered, it’s hard to say if he will be drafted,” Ward said on Tuesday. “With that being said, anything is possible. There are more and more players getting the opportunity to play in the NBA from overseas every year. He is definitely very talented and played well in his senior year at GWU. Watanabe is ready and willing to do just that.